The urban myth persists of the customer who walks into a shop, turns down the offer of a bottle of Chardonnay and demands Chablis instead. All Chablis is of course 100 per cent Chardonnay, as is virtually every bottle of white Burgundy (this being France, there are always certain exceptions). 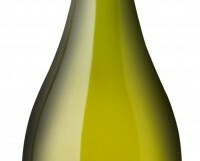 But every time you enjoy a glass of Bourgogne Blanc, Mâcon-Lugny, Meursault or Puligny-Montrachet, you are drinking pure Chardonnay.Whenever you drink Champagne, it is very likely that you are drinking a blend that includes Chardonnay.Burgundy is home territory for Chardonnay (there is even a town of that name in the Mâconnais), and has been for centuries. It has travelled the world, finding a home in virtually every wine producing country. It was ubiquitous in the 1990s, leading to the ABC (Anything But Chardonnay) movement, followed by a decline in popularity. I was under the impression that it was starting to make a comeback but, doing tastings in wine shops before Christmas, I was taken aback at the number of people who refused to allow a tiny sample of Chardonnay near their glass. I ended up putting my hand over the label, instead offering a dry white wine; the vast majority liked it and were surprised to find out they were tasting the dreaded Chardonnay. Chardonnay can produce excellent sparkling wines and even sweet wines, but most of the time, it is used to produce still, dry wine. They can vary in style from crisp and refreshing to richly textured and mouth-filling, and therein lies the problem. We don’t always know what kind of Chardonnay we are buying. Is it rich and unctuous or light and fresh? The label will usually help; a wine that is 12.5 per cent in alcohol will be on the lighter side and a wine at 14 per cent will certainly be rich and full-bodied. Then there is the question of oak. For too many years, ageing a Chardonnay in oak was seen as a sign of quality. Some producers therefore reckoned the more you added, the better the wine. If you couldn’t afford very expensive new oak barrels, then you added cheaper oak chips. Either way, the consumer got a mouthful that tasted of oak instead of wine, and didn’t like it. In recent years, the overuse of oak has declined greatly. Used in a restrained fashion, it is barely perceptible, adding another layer of complexity, although you shouldn’t taste the oak. Some producers have taken to stating “unwooded” on labels. Although I have railed against oaky Chardonnays for years, now that they are gone, I sort of miss them. The great winemakers of Burgundy (with the possible exception of Chablis) will age a percentage of every wine they make in oak barrels. This will increase along with the quality, so that the Grand Cru will frequently be aged in 100 per cent new oak barriques. Yet because the wine is so intense, you will rarely taste it. Why should we drink Chardonnay? Well, because it is one of the world’s greatest grapes, producing some of the most complete wines. In the winter months, alone among white wines, it seems to have the body to match the cold weather. Good Chardonnay is majestic; it is the nearest thing white wine gets to red wine. It is textured and complex, slowly releasing wave after wave of gentle flavour. Where Sauvignon Blanc and Riesling are linear and refreshing, Chardonnay seems to reach every part of the palate. It is the best white food wine of all, perfect with shellfish, salmon, tuna, chicken, pork, smoked foods, creamy and buttery sauces, as well as many cheeses. Chardonnay reaches its apogee in Burgundy, but many other countries produce excellent examples too. So let us move on and embrace this wonderful grape. This week, I suggest three Chardonnays from different countries spanning the globe. Please forgive the rather steep prices, these wines are certainly worth it. Delicious lightly textured wine with pristine fruits, a subtle spiciness and a refreshing mineral core. Impeccably balanced lime zest, hazelnuts and peach fruits, lingering beautifully. Keep a few years or drink with chicken, pork or seafood.